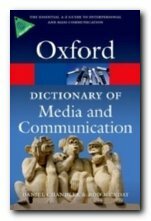 Dictionary of Media and Communications is an attempt to solve an interesting problem. I once bought a dictionary of computer technology (as it was then called). It was huge, comprehensive, and was written by an expert. Twelve months later there were terms I needed to look up that simply weren’t in there. That’s how fast new language is being created in the field of information technology (as it is now called). The same is largely true for media and communications. But in the meantime publishers have realised that works of this type need their own web sites that are regularly updated. Does this mean that dictionaries in the form of printed books are obsolete? I think not – because for most people it’s still more convenient to reach a book off the shelf to solve a problem or look up a definition. And that’s quite apart from the secondary pleasure of reference books – making those serendipitous discoveries on adjacent pages. hypertext 1. A method, devised by Berners-Lee as part of his *World Wide Web software, of embedding omni-directional *links within a given digital *text (encoded in the form of an *HTML document and displayed on a *web browser) which connect to other HTML texts without the need for extra navigation. For example, a selected word of a text document or an area of an image document is defined as a *hyperlink which, when clicked on, loads the document at that address into the browser window. Hypertext is designed to be media independent (a text can link to a sound file, an image, or even a location in a *virtual world.) which makes it a *metonym for the versatility of *digital media generally. 2.2. A visionary concept of Ted Nelson (an American new media theorist, b.1937) for a *human-computer interface in which computers present a given text from multiple viewpoints, making it a malleable object that can be ‘played with’ in order to deepen a person’s understanding. For example, a hypertext version of Hamlet’s ‘To be, or not to be’ soliloquy might consist of a standard edition of printed text, a facsimile of the earliest known version, a video recording of a performance, critical notes, and articles – all of which could be expanded from or collapsed back into the original text by clicking on a series of bi-directional links.. 3. For Genette, literary works which derive from, relate, or allude to an earlier work see also INTERTEXTUALITY. 4. 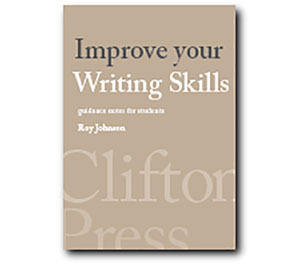 Any text structured in a way that is nonlinear or non sequential, having no clear beginning, middle, and end, or in which the reader has control over the sequence. Where such texts link to others through *hyperlinks, the boundaries of the text may be blurred or the text may be perceived as unbounded. It also has a listing of micro-biographies of major theorists and practitioners, plus a bibliography of suggested further reading. The compilers deny the existence of ‘key entries’, but many of the important entries are cross referenced and linked to the book’s web site. The fields of reference include literary studies, semiotics, digital technology, broadcast media, journalism, film studies, psychology, and cultural theory. It’s aimed at people studying in any of these disciplines, but the definitions and explanations are accessible to the general reader.